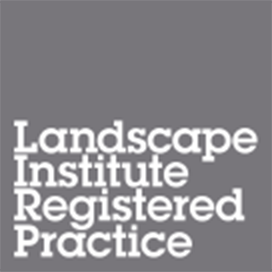 As a rurally based Consultancy, we carry out a wide range of work connected with the countryside, and with the need for rural diversification, this is an expanding area of work for the practice. Recent projects range from new leisure and tourism facilities, such as the development of fishing lakes and associated rural holiday accommodation, along with habitat creation and nature conservation associated with restoration schemes. We have completed 2 phases of work on a country retreat near Sleaford, which is comprised of holiday accommodation aimed at the angling sector of the market, and we are currently working on a 3rd phase. Highfields Country Retreat consists of 190 acres of parkland, woodland and lakes. Work undertaken on this scheme, which has been developed from ‘scratch’ on agricultural land, includes the undertaking of an initial Landscape and Visual Assessment, which informed the structure and layout of the development, development of the fishing lakes, and the detailed planting across the site. The Consultancy has been involved in the development of numerous high quality residential developments, ranging from large urban extensions to small infill sites. Landscape and Visual Impact Assessment (LVIA) is a statutory requirement for many major developments, such as windfarms and projects in environmentally sensitive locations, which fall within the Regulations which necessitate the production of an Environmental Statement. Copyright © 2017 RDC - Company No: 4084500.